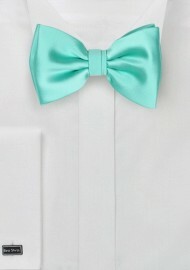 This formal beach glass green bow tie is part of a new kids tie collection by PUCCINI. The length of the neckband can be adjusted to accommodate a wide age range from 1 to 10. A fresh beachy summer hue that looks nice on top of white, light blue, navy, gray, and yellow shirts. 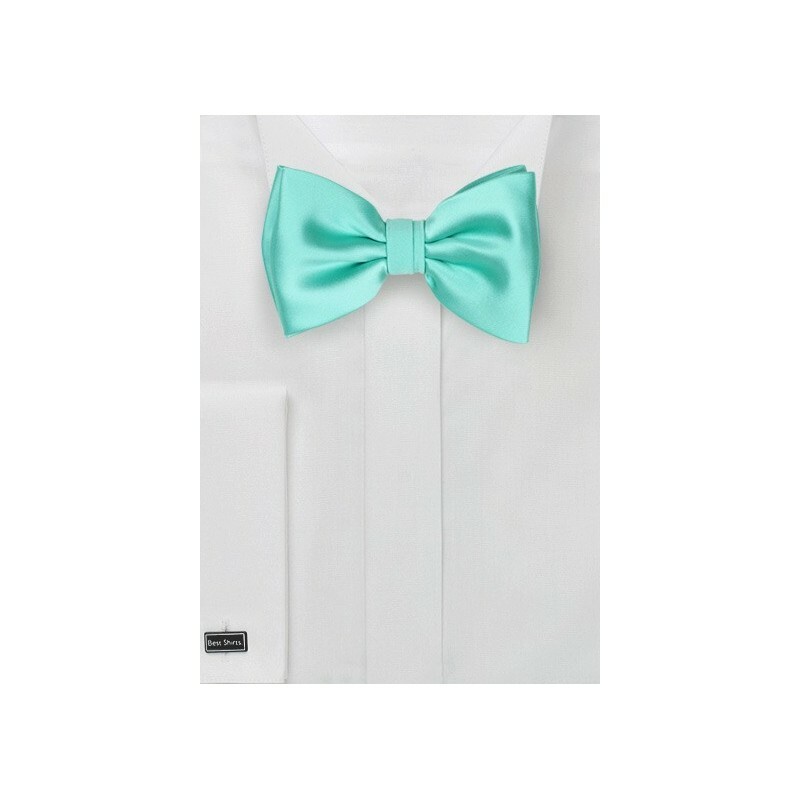 This color is also available in adult neckties and bow ties.